Honda Cars India today launched its brand new offering – Honda WR-V. The all new Honda WR-V is launched in India at a price starting from INR 7.75 lakhs to INR 9.99 lakhs (ex-showroom, Delhi). The all new Honda WR-V is based on Jazz hatchback and car is made available in 2 variants, S and VX. Honda WR-V is available in 2 engine options – 1.2-litre petrol engine and 1.5-litre diesel engine variant. The all new Honda’s cross-hatchback gets significant new changes and looks more better than the existing Jazz. 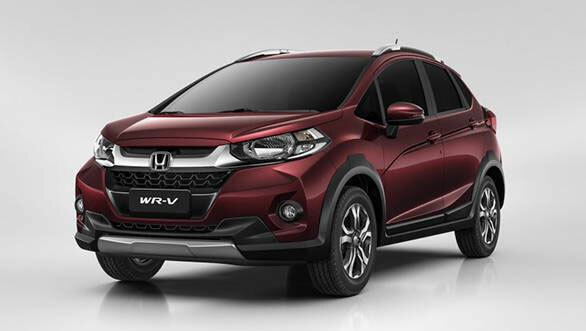 Honda WR-V’s visible upfront gets a raised bonnet line, a thick chrome grille, a contrasting scuff plate, a sculpted bumper and also new headlights that comes with daytime-running LEDs. The rear-end design of Honda WR-V gets good amount of modifications with new L-shaped-tail lamps, bumper and tailgate. Honda WR-V gets a revised suspension and the larger 16-inch wheels and 195/60 profile tyres gives the car a pretty good ground clearance of 188mm (23mm more than Honda Jazz). The suspension tweak in Honda WR-V has resulted in 25mm increase in the wheelbase of the car. The cabin of Honda WR-V is largely similar to Honda Jazz. The car gets lot more chrome finishing which gives this car a premium look. The Japanese auto-maker has added features that include a sunroof, the Digipad touchscreen infotainment system (introduced in 2017 Honda City), a front centre armrest, and a reversing camera with multiple views. 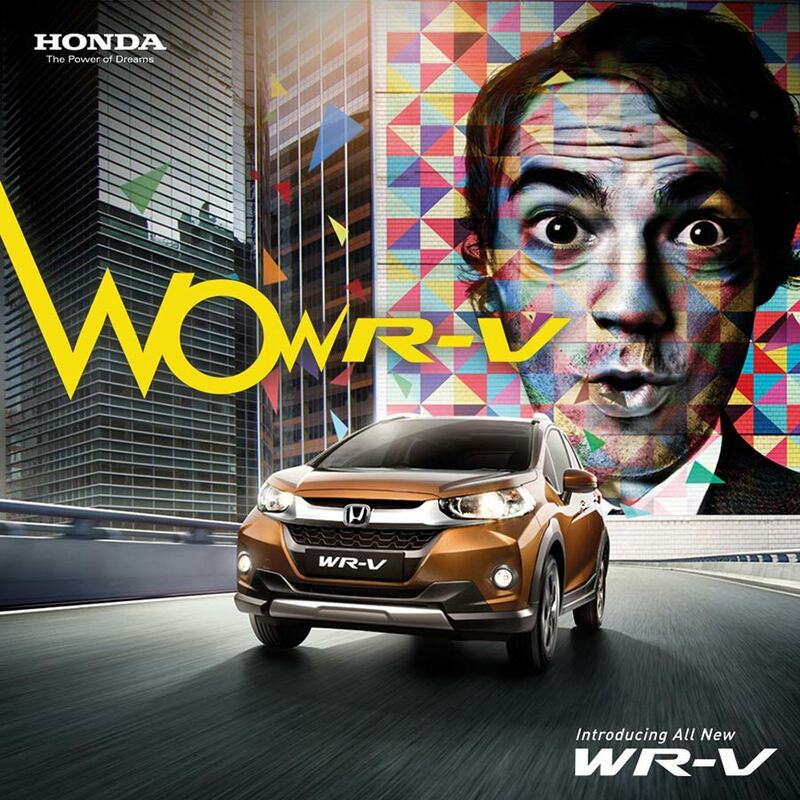 When it comes to safety, the all new Honda WR-V gets anti-lock braking system (ABS), electronic brake distribution (EBD) and also front dual airbags as standard option. Honda WR-V is powered by 1.2-litre i-VTEC petrol engine that churns out 90hp of power and 1.5litre i-DTEC diesel engine that develops 100hp of power offering a mileage of 17.5kpl (petrol) and 25.5kpl (diesel), respectively. The diesel variant of new Honda WR-V gets cruise control and an engine start/stop button and is mated to a 6-speed manual transmission gearbox. Honda WR-V’s petrol variants gets a 5-speed manual transmission gearbox. 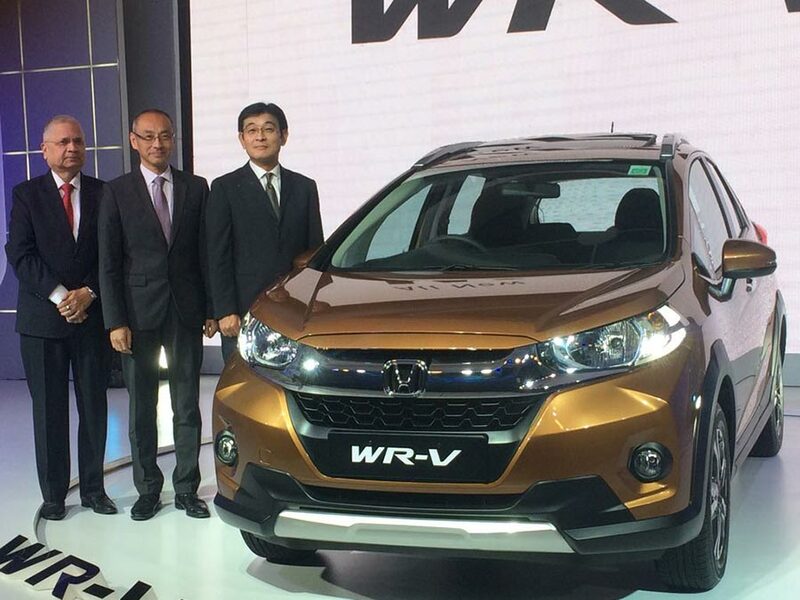 Currently, Honda WR-V is offered only in manual option and automatic is yet to be launched. The all new Honda WR-V is launched to take on its competitors like Hyundai i20 Active, Toyota Etios Cross, Fiat Avventura/Urban Cross and Volkswagen’s Cross Polo.